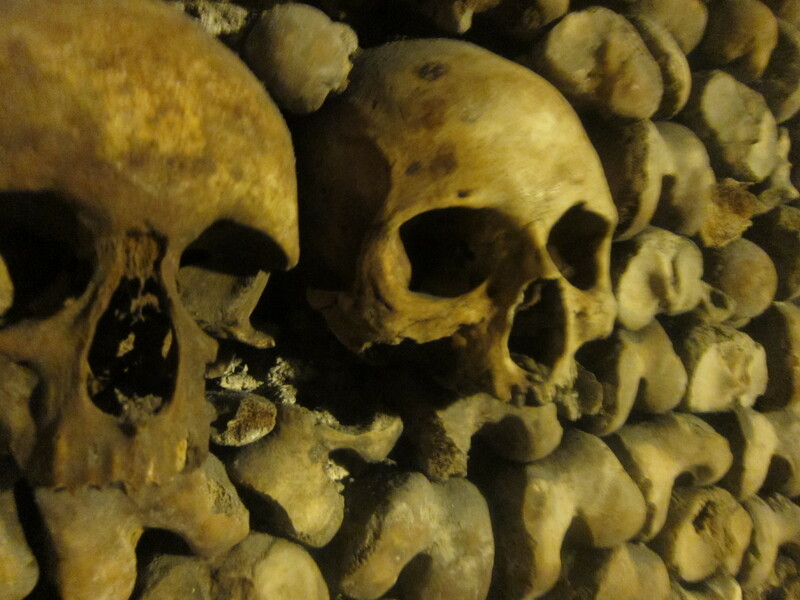 Want to Explore the Paris Catacombs with Us? 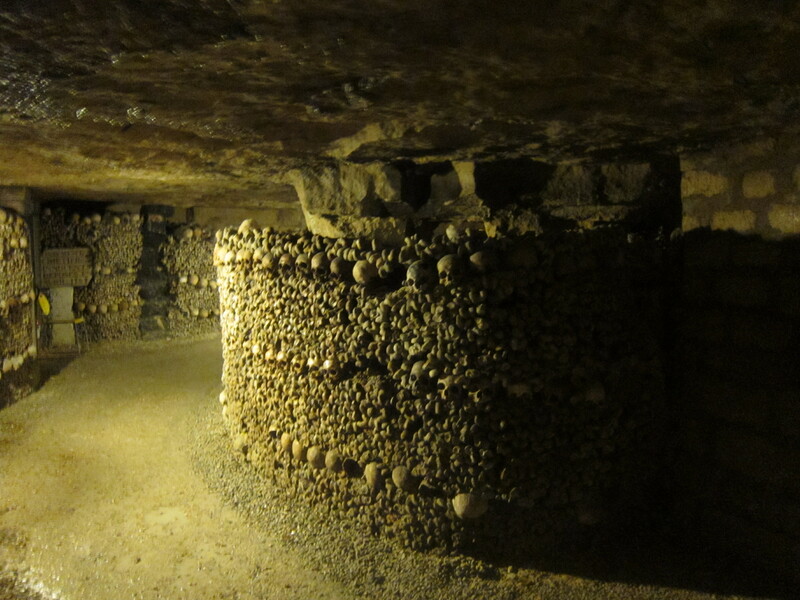 A vast network of tunnels under the City of Lights, the catacombs are a massive grave with many individuals. The total number is impossible to count, but estimates put it at around six million. Many areas are closed off to visitors, however the team from Project Dreamscape were able to take a tour of some of the more accessible areas. Armed with a camera and no flash, since flash photography is not allowed, we were able to capture this unearthly experience. 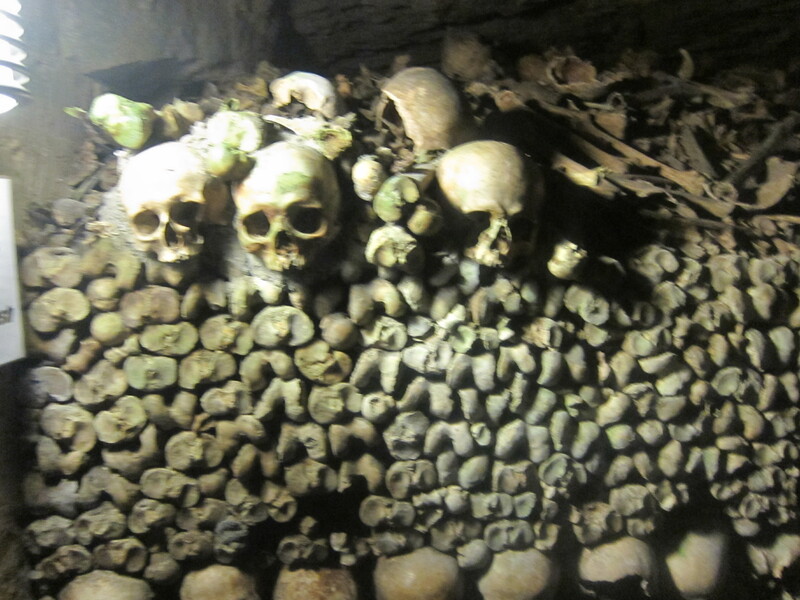 Before we jump into the Paris Catacombs photo tour, let’s look at the history of this macabre place. 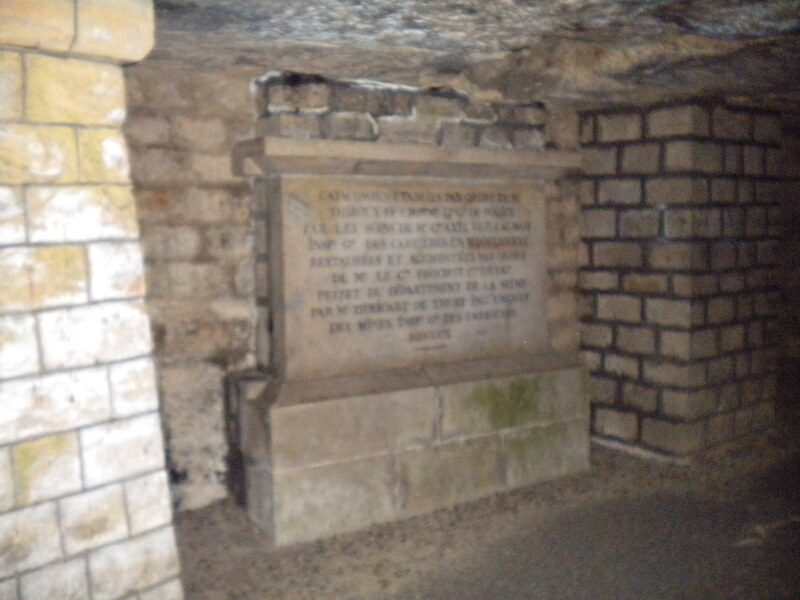 In the late 1700s the cemeteries became too full to bury the dead during a cholera outbreak. 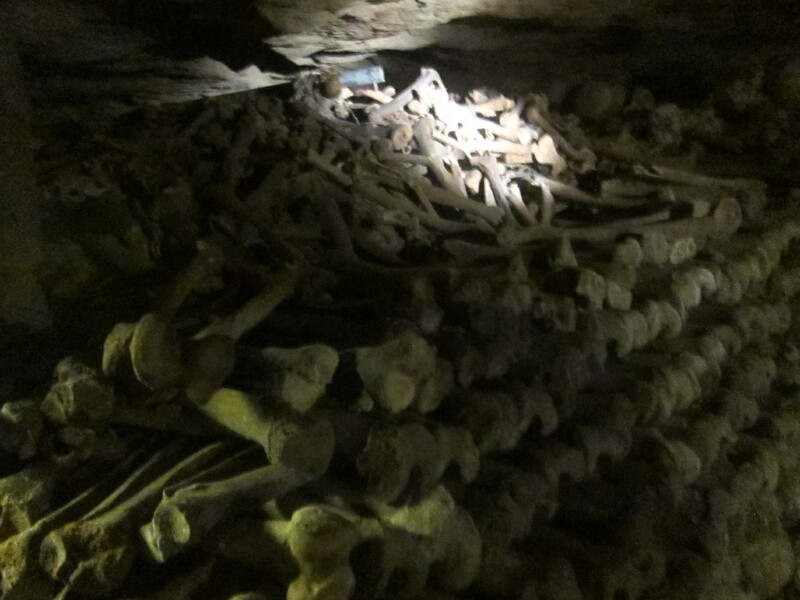 They unearthed the old bodies to make room for the new ones. 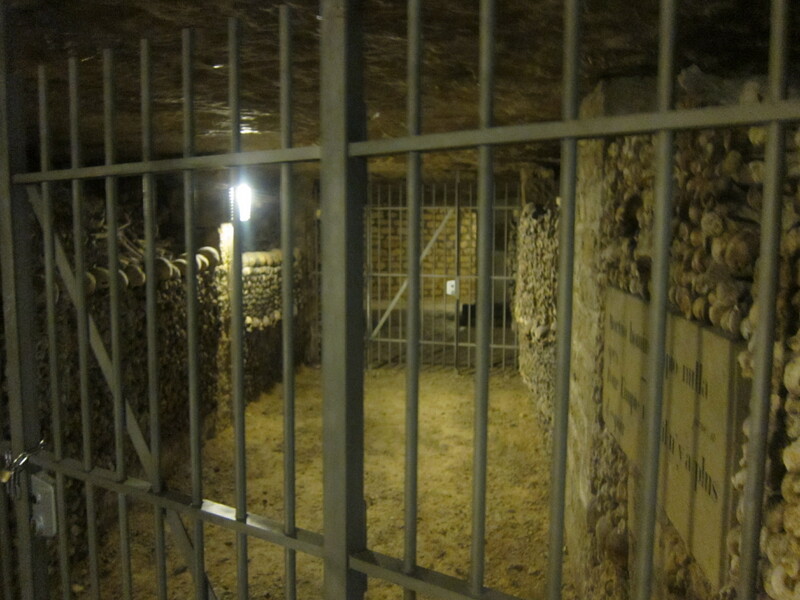 Authorities burrowed under the city to dispose of the corpses from Saint Nicolas des Champs cemetery and many others. 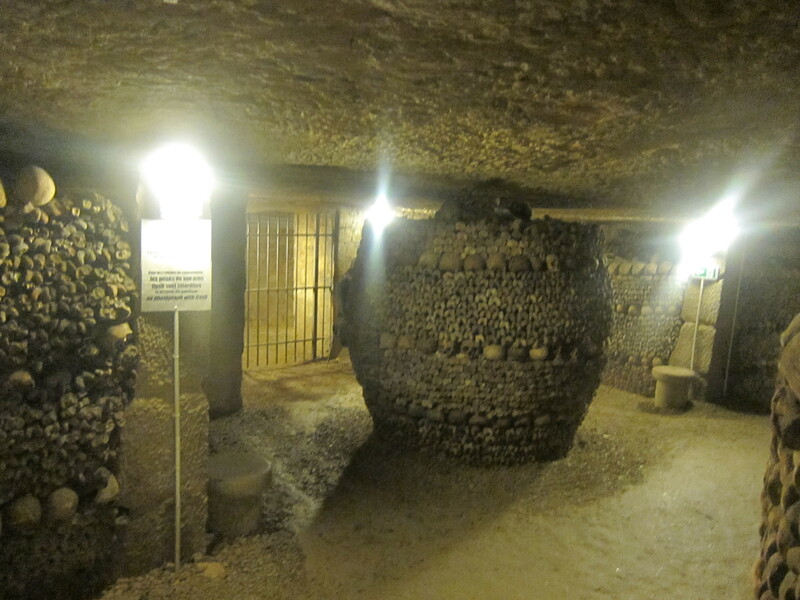 The actual origin of the catacombs is contested. Some say they span back to Roman times. Over the years, bodies have been continually added. Some from the riots of Place de Greve; some were enemies of the state that were slaughtered and hidden away. 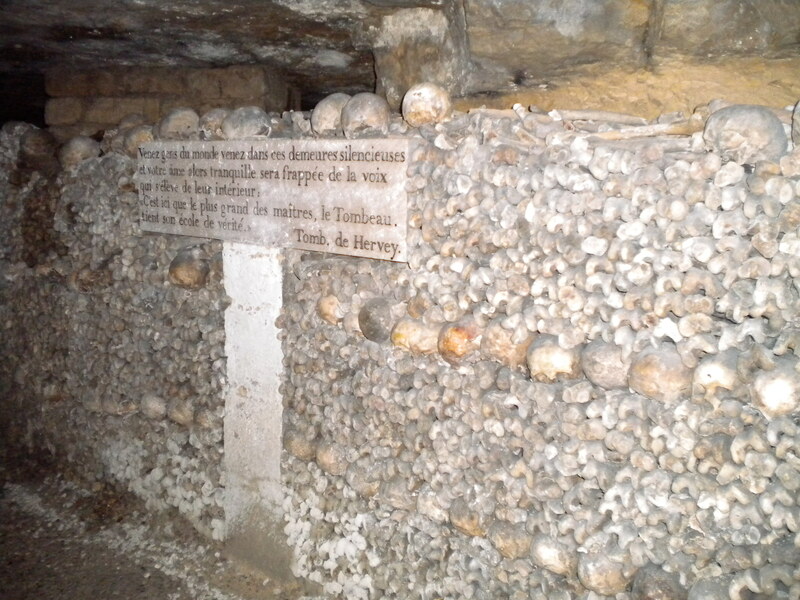 During World War II the catacombs were even used as bunkers. 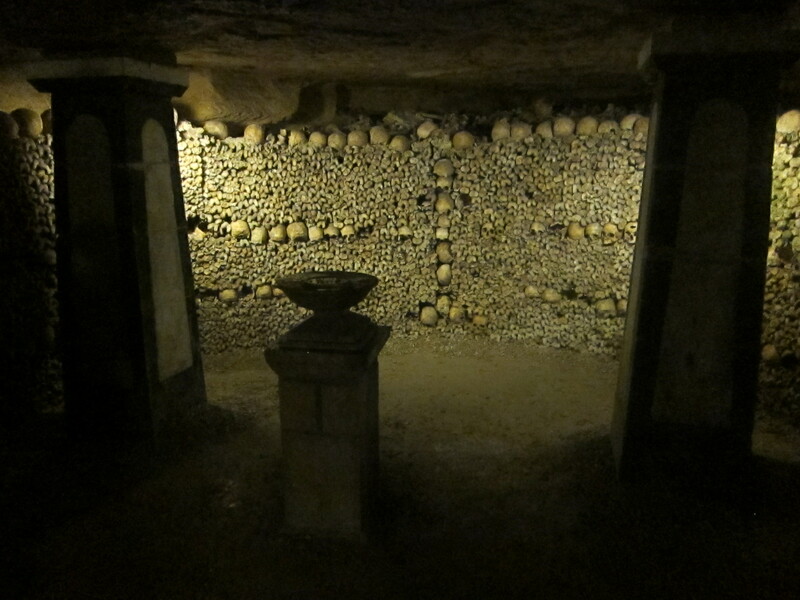 The walls are made up of skulls and bones, may arranged artistically, and various markers indicate the cemetery where the remains came from. 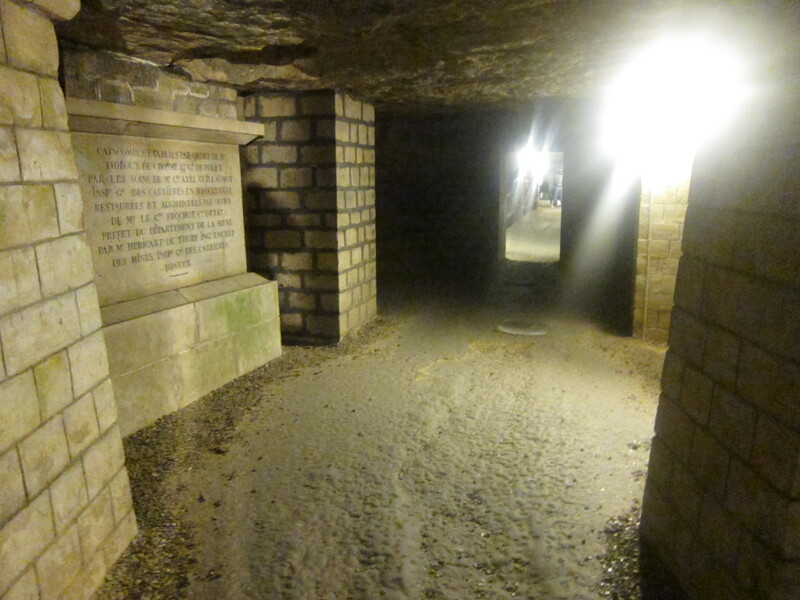 Throughout the years the tunnels have been explored by thousands. As a result the walls are scribbled with graffiti that spans hundreds of years. 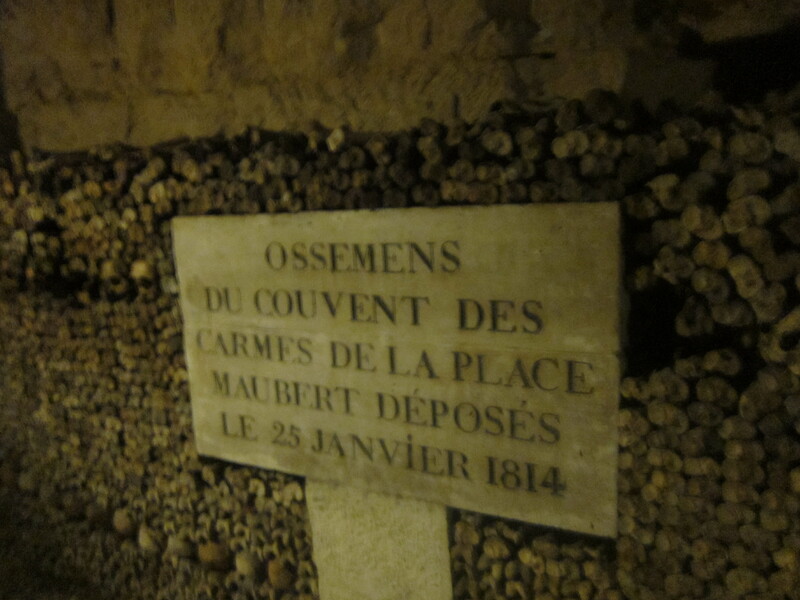 We visited the Paris Catacombs, or the Paris Underground as it is also known, with Tours from Vogue Translations. If you are going to visit Paris, by the way, we can’t think of a better way than with a personal, guided tour, and this is by far the best. Our adventures there were honestly the trip of a lifetime, and we owe that unforgettable experience to my incredibly knowledgeable, friendly, fun tour guide. 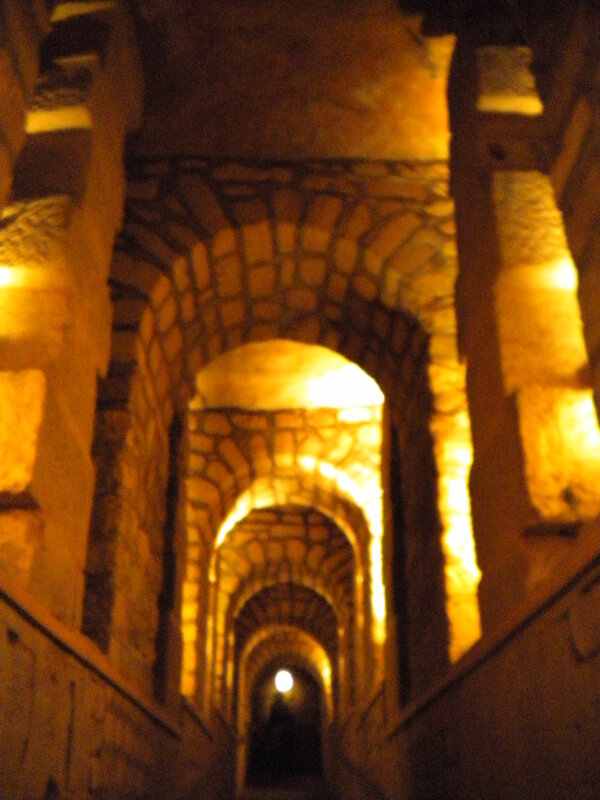 The stairs leading down to the Paris Catacombs. 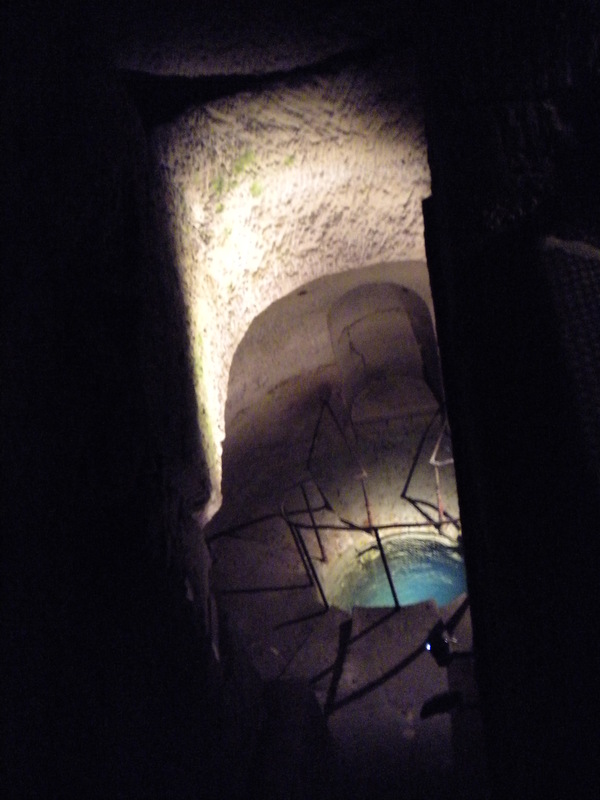 Steep, narrow and old. The walk down the corridor. It was much farther to get there than we imagined. No flash allowed on cameras, hence the blurry-shadowy effect with some of the pictures. This is the monument that greets us at the entrance. Our tour guide up ahead. There were surprisingly few people on our tour, and most of them rushed ahead of us. 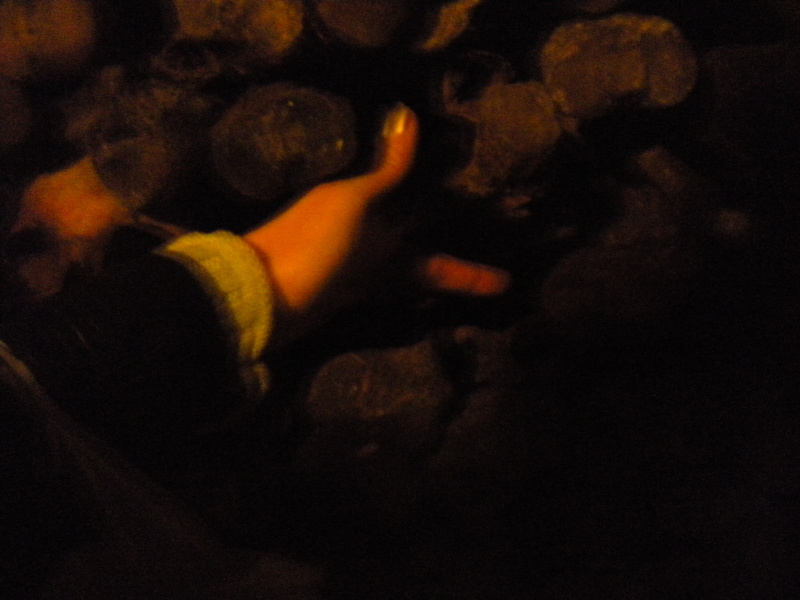 It made us feel like we were incredibly alone while meeting the dead. 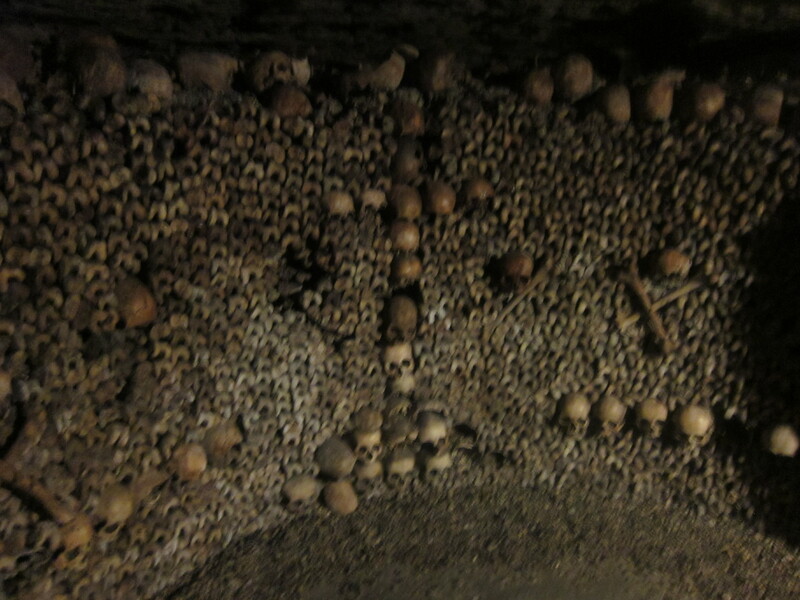 Walls and walls adorned with bones. The designs were often quite creative. Markers commemorated the dead and indicated the cemetery they came from. More skull designs. You’ll see this everywhere you look if you visit the Paris Underground. One of the team members at Project Dreamscape is a toucher. 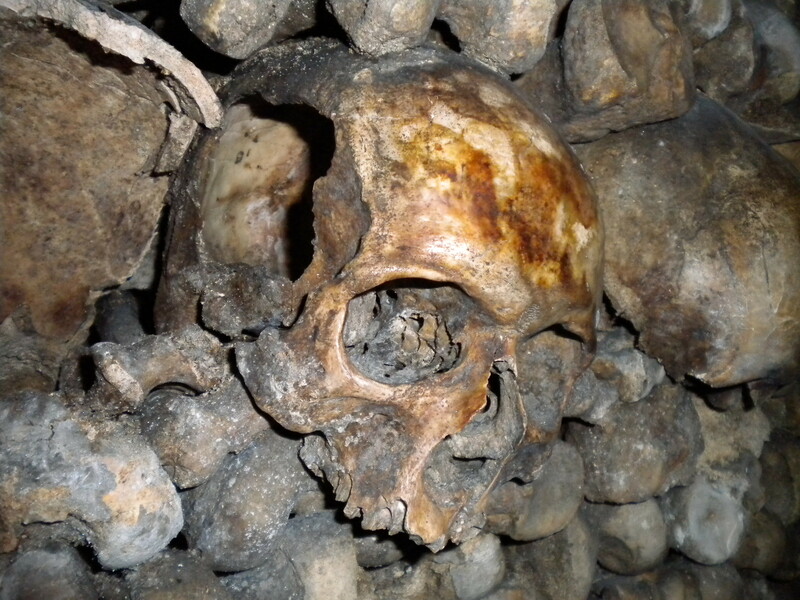 No one in the Paris Catacombs told her she couldn’t touch. So, she did. Tunnels twisting and turning every which way. One can imagine how easy it could be to get lost. An space set up like an ancient altar. Our imagination goes wild wondering what types of ritual sacrifices may have happened here. The alter room from another angle. Some areas were blocked off. 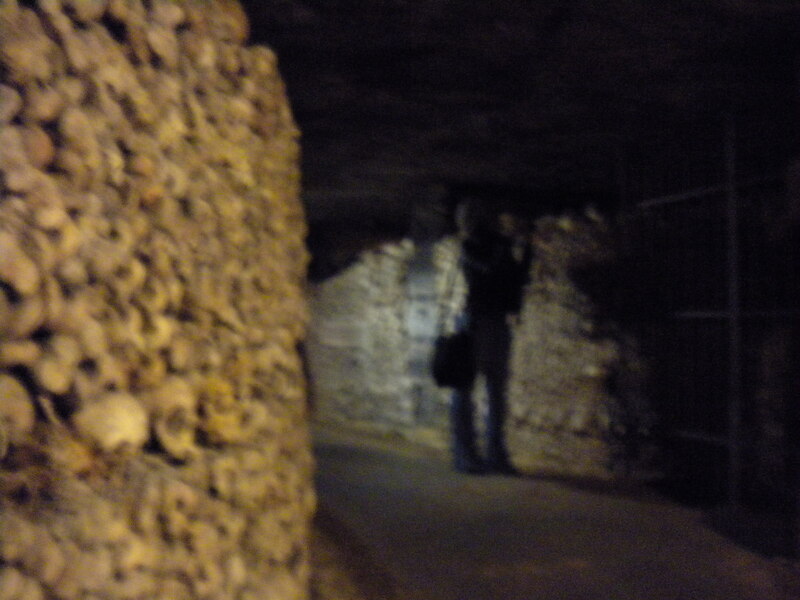 Actually, the guided tour of the catacombs only covers a very small portion of the vast network of tunnels. Many of the other areas aren’t structurally safe. 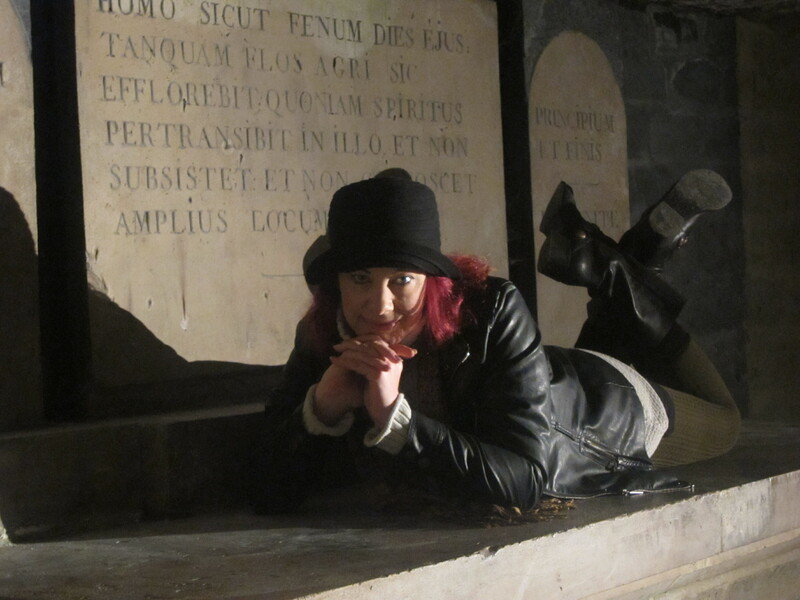 We took a moment to reflect on top of this crypt. Make no mistake, we don’t mock death. We know that in a handful of decades we’ll join their ranks. 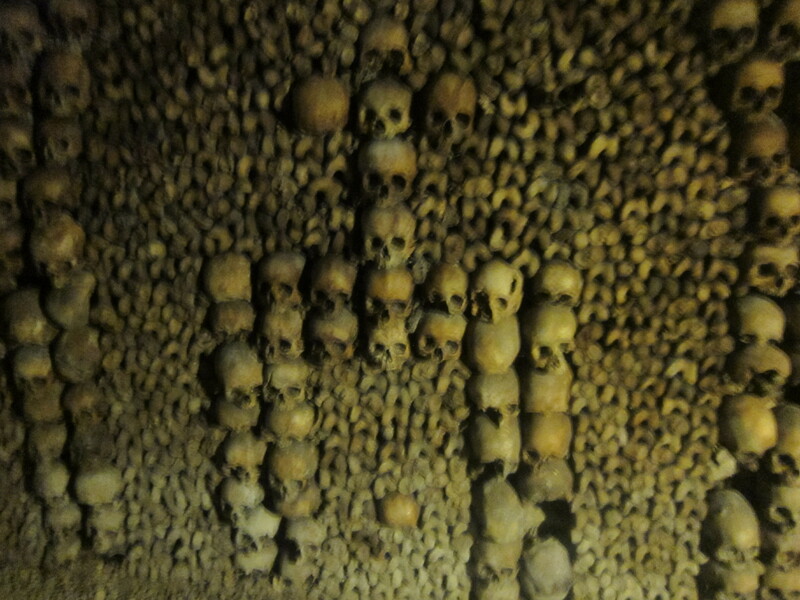 Imagine the faces these skulls once held. The muscle, skin, sinew, and blood all coming together to create someone’s unique identity. Now here they are, the beautiful and the ugly, the young and old, the male and female, the black and white, all equalized in death. Another marker from 1814. This place even smelled old. 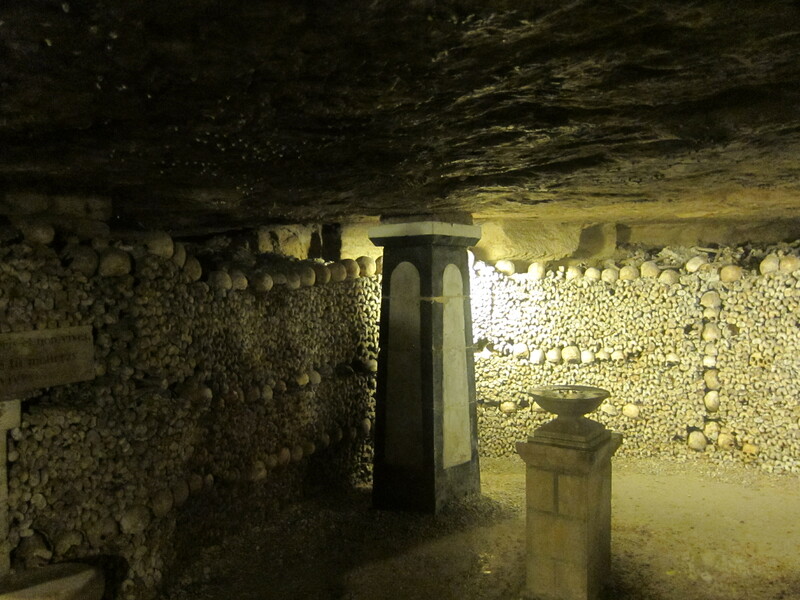 They really got creative with the way they wrapped the bones around pillars and walls. Every inch of space is used. Not every bone was used decoratively. There were crevices behind many wall filled with broken peices. Remnants thrown together haphazardly. A cross made out of bones. Religion is not lost down here. Our tour is almost done. 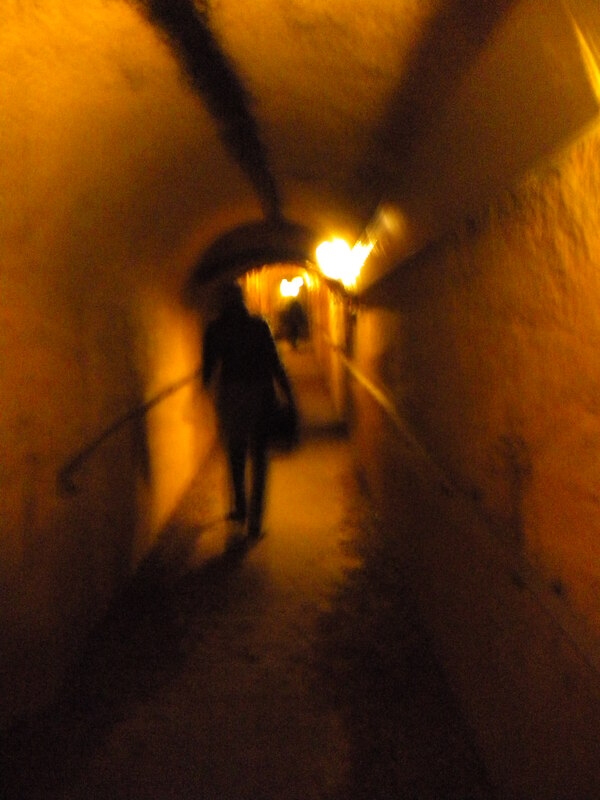 Heading down the last hall. The arches on the way out. Some truly breathtaking architecture under the bustling streets of Paris.